"Assault weapons" as promoted by irresponsible media, are semi automatic, not automatic weapons. Furthermore, it's essentially a BS term used to demonized a long gun based on the aesthetics as opposed to how it functions. Hands and feet are STILL #1. News flash! It’s not very hard to convert a semi-automatic weapon into an automatic one... which have killed people in the U.S. I'm afraid that is untrue. It is a crime to posses any weapon capable of easily being converted to function automatically. Bump stocks are pretty inaccurate, and would actually decrease the hit:miss ratio. Even the military recommends semi-automatic fire mode for virtually all combat functions. I own a machinegun (RDIAS), and it hasn't ever been used in an illegal activity - nor will it be. I didn't purchase it for its combat value, though. I purchased it because laws like the NFA + GCA make these things increase in value over time. I paid $20,000 for a small hunk of worthless metal. In 5-10 years, it will likely be worth far more. I can't even imagine its value 20-30 years from now. I will likely be dead, but since I purchased it via my NFA trust, I won't have to worry about transferring it when I die. My family members are all on the NFA trust, but I will likely will it to my oldest daughter who loves firearms as much as I do. Whether she uses it for entertainment, protection or sells it to put her future children through college, or make ends meet or whatever else... I know it will only increase in value. Tehama County Assistant Sheriff Phil Johnston said that one of the victims was a woman the gunman was previously accused of stabbing in January. The assistant sheriff said the gunman rammed his vehicle into a school fence, then walked onto school grounds with a semi-automatic rifle with a protective vest on. After being unable to access classrooms due to the lockdown, it's believed the gunman became "frustrated" and went back to his car, and began shooting at people while driving. 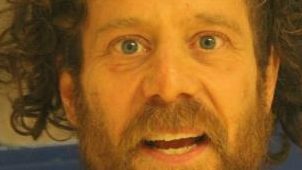 The gunman, identified by the Sacramento Bee and members of the Rancho Tehama, as Kevin Janson Neal, 43, shot both inside and outside Rancho Tehama Elementary School, Johnston said.